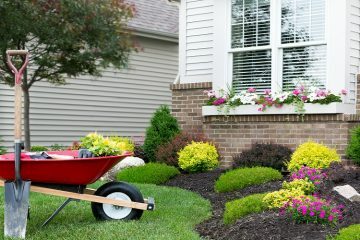 Home » Blog » Exteriors » What Color Should You Paint Your Home’s Exterior? What Color Should You Paint Your Home’s Exterior? 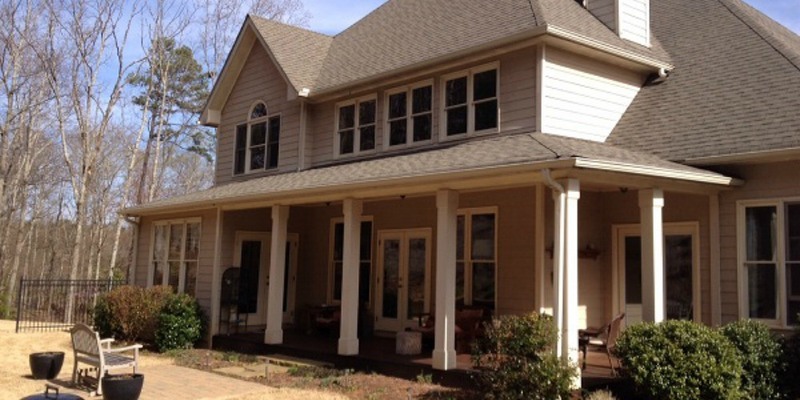 A new exterior painting color can completely transform the way your home looks and feels. But if you want to actually improve your home’s appearance, you need to pick the right color. So what color should you paint your home? There isn’t a right answer to that question. But that’s not what you wanted to hear, was it? 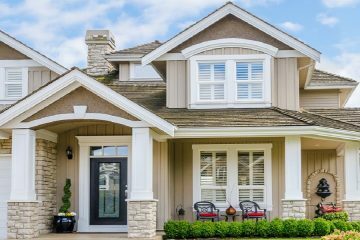 Don’t worry – just because there isn’t a single best exterior painting color doesn’t mean there aren’t guidelines and suggestions to help you pick the best colors for your situation. Here is a quick guide to trends, rules, and tips. Consider your neighborhood – If you live in an area with brown and tan homes, painting your home bright pink and blue will make it stand out – and not necessarily in a good way. 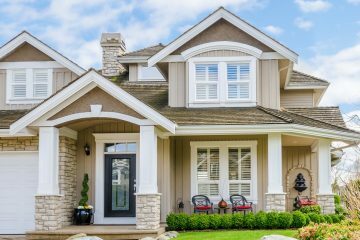 While unique colors can make a home more beautiful, consider what your neighborhood looks like in general when selecting colors. 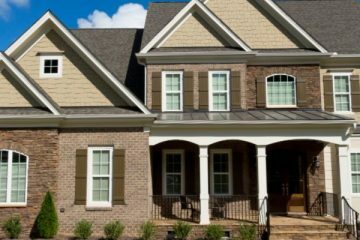 Hire a professional exterior painter – It doesn’t matter what exterior painting color you pick if you can’t apply the paint properly. 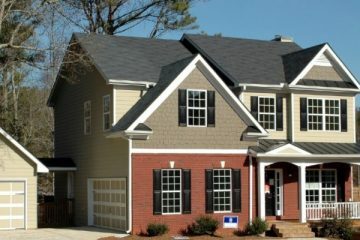 Unless you have the right tools and plenty of experience painting home exteriors, leave the job to the professionals. Go bold – No, this does not contradict the first tip. While you should pay attention to what your neighborhood looks like and you should avoid obnoxious or gaudy colors, rich colors like navy blue, pale yellows, and even orange earth tones are incredibly popular right now. You can get even more ideas by checking out the online Color Selection Tools offered by Sherwin-Williams. 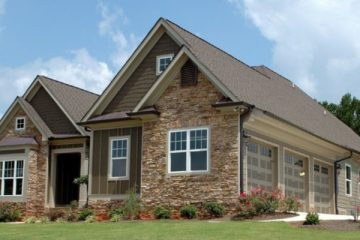 Consider your home’s architectural style and history – You can find just about any style of home in the Metro Atlanta area, from southwestern mission style homes to contemporary lofts. Pick colors that work with your home’s history or trends. Earth tones and red colors work well with southwestern homes, blues are great for lofts and modern architecture, and yellows are great for traditional family homes. 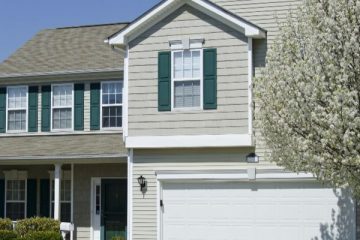 The right exterior painting color depends on a lot of factors. Make sure you consider everything before selecting a color. And when the time comes to paint, do yourself (and your wallet) a favor and hire professionals. 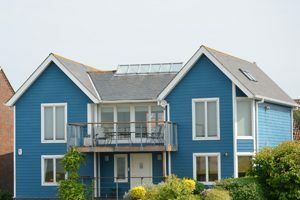 Previous PostHow Much Does Exterior House Painting Cost?